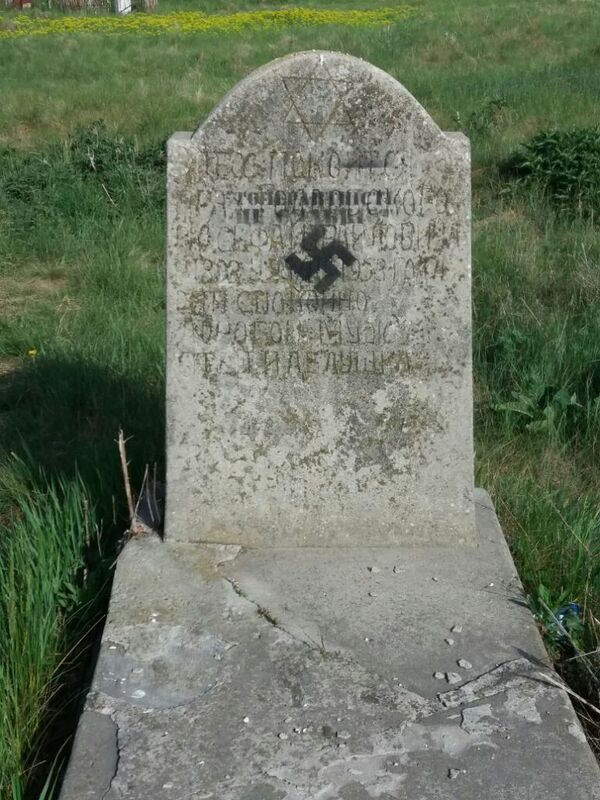 And yet just three days before, in a country with a history of anti-Semitism, Ukrainian nationalists daubed Nazi swastikas and the words “tolerance is weakness” on headstones in a Jewish cemetery in Cherkasy, some 185 kilometers (115 miles) to the northeast. That event was reportedly the first of its kind to happen in years. But it was a reminder of the ease with which frustration over a failing economy – Ukraine’s war with Russian-backed separatists in the east has caused a steep rise in prices — can spark waves of nationalism that are quickly turned against Jews. 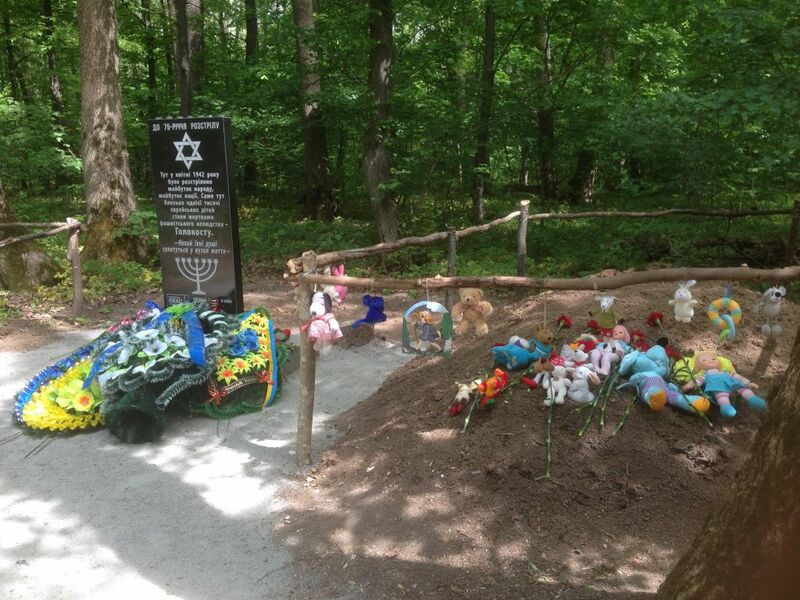 Were it not for the presence of older memorials to political prisoners and other non-Jewish victims of World War ll, one would not guess that the mounds that seem to continue forever in the forest where Monday’s commemoration took place were actually mass graves – part of one of Uman’s main Nazi killing grounds from 1941 on. The memorial to the children was funded by Christians for Israel, a Dutch-based organization that supports Jewish immigration to Israel. 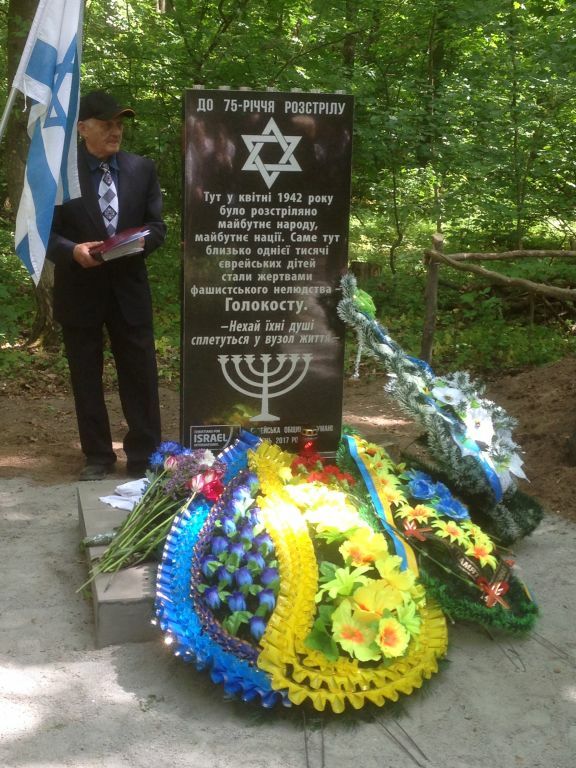 Ukrainian authorities do not provide memorials specifically for Jewish victims of the Nazis, so all such monuments are the result of private initiatives. Today, Uman has a small, aging Jewish community and a new influx of Jewish pilgrims attracted to the tomb of the 18th-century Hasidic Rabbi Nahman of Breslov. In 1941, when the Germans invaded, it was home to some 15,000 Jews. By the end of 1942, more than 10,000 of them had been murdered. The memorial – next to which children’s toys had been poignantly placed on Monday — commemorates one of the most gruesome events of that time. In April 1942, the city’s Nazi commandant summoned local ghetto leader Haim Schwarz to tell him that the Jews had until April 22 to hand over 1,000 children, aged three to 10. 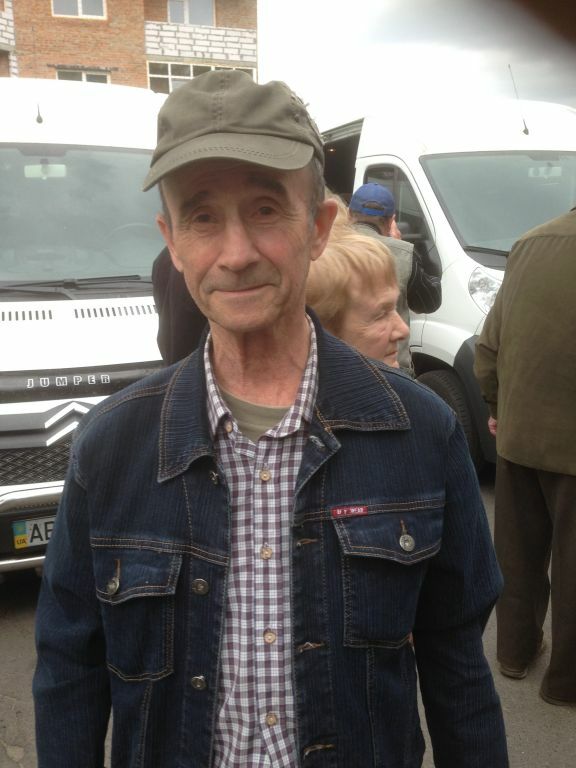 “The Germans said the children were to be sent to an orphanage,” said Karl Epstein, Uman’s Jewish community leader and one of around 2,700 Holocaust survivors still living, in 42 communities, across Ukraine. On the appointed day, April 22, Ukrainian police and Nazi death camp prisoners turned up at the ghetto gates to take the children away. Those who could not be ripped from their mothers or fathers were taken together with their parents. All of them were driven not to an orphanage, but to this forest where pits had already been dug. Then they were shot dead in a massive killing spree, after which their corpses were covered with dirt. The assembled guests and dignitaries stood in shock on Monday as school principal Ludmilla Dozenko described how in August 1941, in a separate incident, the Nazis ordered a group of Jews in the nearby village of Talnoy to gather their belongings prior to being “taken to work” but then took them to a patch of forest nearby to be gunned down and covered in soil. Some of the Jews had come with children, including one woman who had brought her two-year-old girl. In September 1941, 1,000 Jews – doctors, lawyers and teachers — were herded into a vast basement in Uman before the doors were locked and a car exhaust was shoved through a hole in the wall. Just one person survived – a small boy, Yevgeny Emass — who had managed to breathe oxygen by pressing his nose against a crack in the wall and to escape without being noticed when the Germans opened the doors. Now elderly, he too was at Monday’s dedication ceremony. Oxana Suprunets, leader of the Uman district council, said four city schools had been charged with taking care of the many unmarked mass graves in the forest. “We are all one people. We don’t separate between Jews and Ukrainians or people of any other nationalities,” said Galina Kutscher, another official. Not all schools teach about the Holocaust, and those that do are only obliged by the school curriculum to allocate 55 minutes to the subject, Zabarko added. 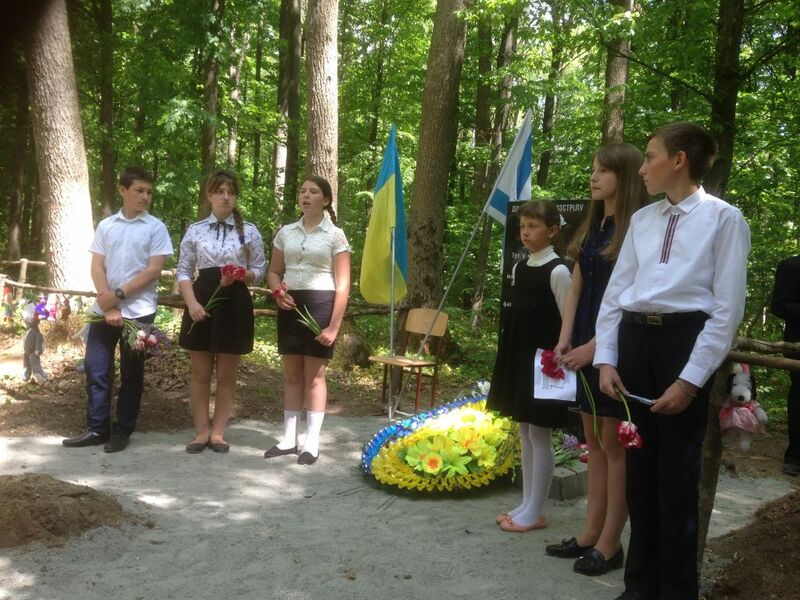 Two Holocaust research centers, in Dnipropetrovsk and Kiev, were doing their best to inform and train teachers who were interested in learning, he said. 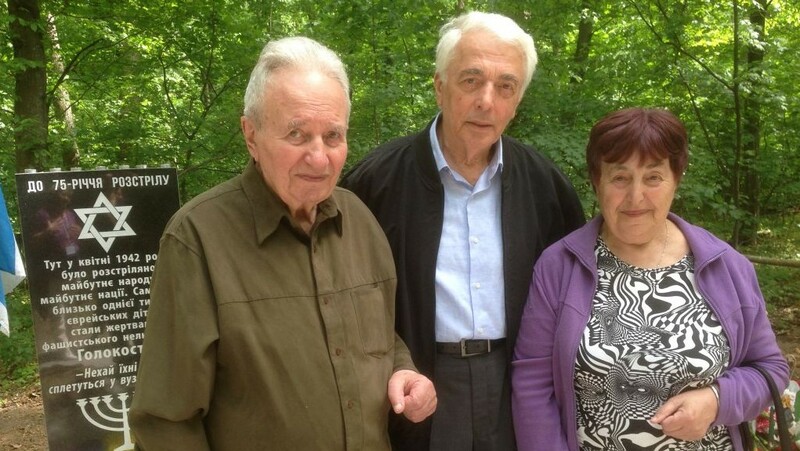 Zabarko, 81, who survived the war In a small Ukrainian village, now lives in Kiev and has published six books on the Ukrainian Holocaust in several languages.